Pain is always a signal that something is wrong, and when you are experiencing continual or frequent elbow pain, it can mean a number of things. One thing which is for certain is that experiencing elbow pain can be very frustrating indeed, particularly if it persists for too long. In this post, we are going to discuss elbow pain in depth – how it comes about, what you can do about it, and how you can stop it returning. It would be impossible to list every single incident which could lead to elbow pain. But what we can do is look to the most common causes, and from there it should be easier to stop the pain returning, and to understand it better. Most often, elbow pain is caused by overuse of this particular joint. 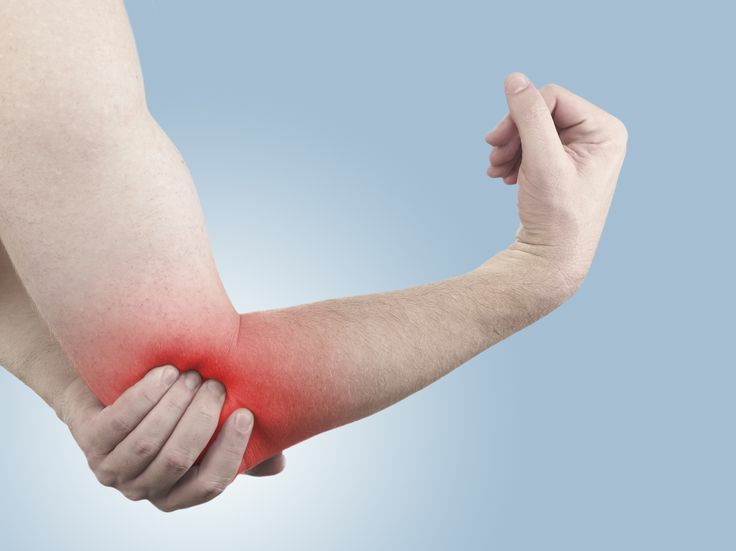 This could be as a result of sport (tennis, squash and badminton being the culprit), exercise, or anything else that requires repetitive use of the elbow. Otherwise, it might be a broken arm which causes the pain, or a dislocation. As you can see, there are a whole world of things which can cause elbow pain. But what are some of the common symptoms of this kind of pain? Obviously enough, the most common symptom is that you will be experiencing pain in your elbow area, but this pain might shown up in a number of different ways. Not all pain is the same, and different feelings in the elbow might indicate different problems. This is why it is best not to diagnose yourself, but to take your elbow pain and any other related symptoms to the doctor’s. Diagnosing pain is often quite difficult, as by its very nature pain can be subjective. But there are certain things which you need to bear in mind here regardless. The doctor will likely check the affected area for any kind of swelling, as this can be a useful indicator of what the underlying cause is. Similarly, they might ask you to tell them if anything feels tender, as this can be equally as useful information for them to diagnose the problem. They will also check to see if the movement of your elbow is restricted in any way: this can help to spot conditions like tennis elbow and golfer’s elbow. They might also check your neck, as the pain could be referred from that area and actually be little to do with your elbow itself. If you are experiencing elbow pain, it is likely that the biggest thing on your mind is the question of how to relieve it. The first thing here is not to move it excessively, as this can further the pain and lead to further damage too. You will also need to visit the doctor if the pain persists, who might prescribe medication depending on your individual circumstances. As long as you keep it rested as well as possible, you should find that you are able to get back to having a pain-free elbow in no time.